Wow. It is OCTOBER. I can’t remember a stretch of time since I’ve had my own photography business when I’ve been this busy, which is why you haven’t heard from me in months. I really want to do a blog post about being busy, but well, I’m too busy. Seriously though, I’ve been thinking about it a lot lately. Even when work is slow people say they are busy. Why is this? It’s because in this country it has become a virtue to always be busy and because even when work isn’t occupying our time, we fill it with a million other stupid, little things. You can’t say “I’m sitting around doing nothing, life is good!” That would just not be right. So the frequent answer to “how are you?” is “busy.” I’m going to pursue this topic further when I’m less busy, but since I have a rare, relatively light day of work I’m going to take advantage of it and post some photos from the past few months so you can see I have been busy! A big chunk of my spring and summer was consumed with styling and shooting (and sometimes even baking the recipes for) a gluten-free cookie cookbook that will be published by Sellers Publishing in spring 2011. The cookbook author lives in New York, but the publisher, who was interested in working with me here in Maine, didn’t let that stop them. They arranged to have most of the cookies shipped! For the most part this went surprisingly well. On only a few occasions did it seem like FedEx must have run over the box of goods…repeatedly. In those cases, I would manage to rescue two or three undamaged ones out of a dozen and a half, or maybe show a “half-eaten” one in the shot. And the answer to everyone’s first question about this project is “Yes, I did get to eat them afterward.” (And I shared them when I was feeling generous…or had a dentist visit on the horizon.) 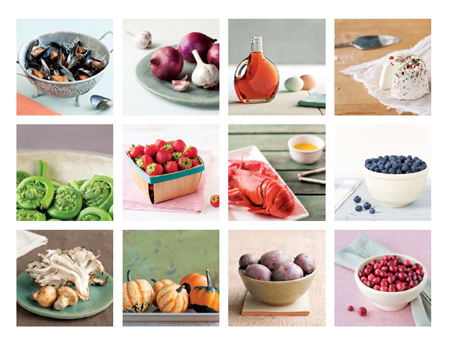 The book will feature fifty recipes (and photos) organized into six chapters. Two of my favorites (both the photos and the taste) are below. Keep an eye out for this title next spring. It will make a great gift for your gluten-intolerant or gluten-sensitive friends, and those who can consume gluten safely will find several keeper recipes as well. Walnut brownies and jam thumbprints, 2 of 50 photos I took for Gluten-Free Cookies, which will be published in spring 2011. When not styling, shooting or eating cookies, I still surrounded myself with food, of course, including gardening, cooking and indulging in amazing meals made by others. 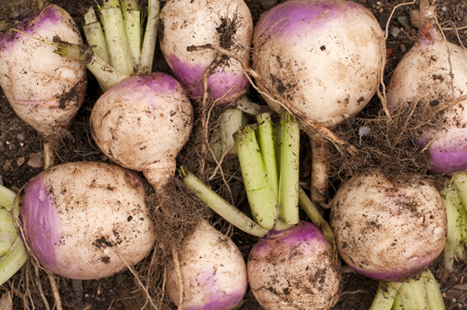 Ample sun and warmth this summer made for happy veggies—like these purple-top turnips—in our ever-expanding garden. 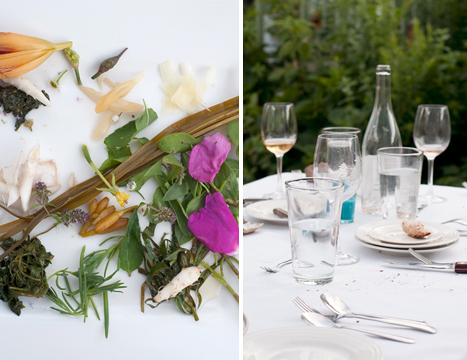 An alfresco dinner of food foraged from Maine waters, fields, shores and forests prepared by talented local cooks and chefs was a welcome respite on a sultry July evening. And then it was back to work. 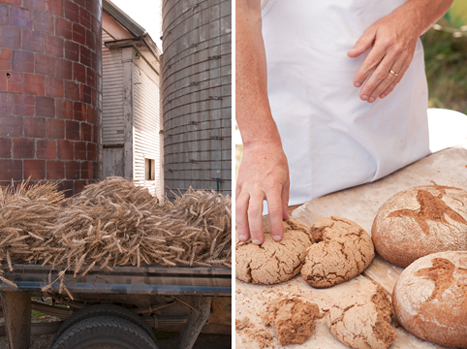 For a New York Times article on the resurgence of locally grown wheat in the U.S., I shot at the Kneading Conference in Skowhegan, Maine, and at a nearby farm. Grassland Farm in Skowhegan is experimenting with growing wheat, while Jim Amaral of Borealis Breads uses 10-20% local wheat in his bakery's bread. As August neared its steamy end, I revisited the gardens belonging to a Cape Elizabeth woman who grows and preserves copious amounts of vegetables and fruit. Earlier in the year, I photographed her and her delicious peach salsa, made from her very own peaches, hot peppers and honey, for this story in Yankee magazine. It was a treat to go back when the trees were laden with fruit. 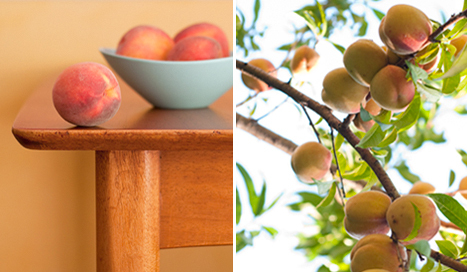 Locally grown peaches enjoyed the summer heat. Currently, in addition to day-long assignments here and there, I’m in the midst of two longer-term projects. I’m shooting for Maine College of Art’s student viewbook, which has so far brought me to more than a half dozen colorful and creative events, including one of my favorite places to shoot in Portland, the farmers’ market. More on this project—which, thanks to a great graphic designer has pushed my shooting in a new and good direction—later. 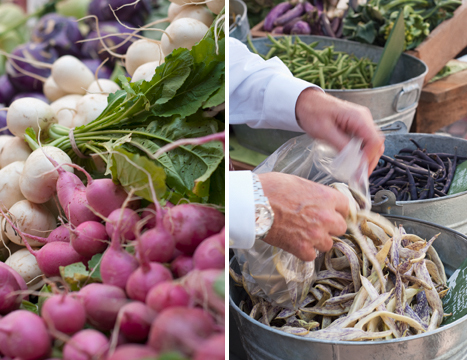 Rainbows of color provided by Fishbowl Farm (left) and Green Spark Farm at the Portland Farmers' Market, one event of many I shot for Maine College of Art's viewbook. 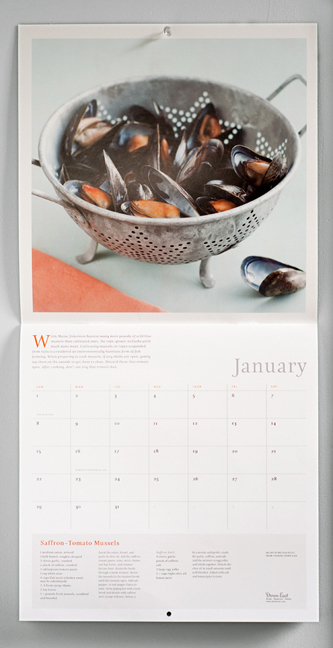 The other project is a resurrection of the well-loved Savoring Maine food calendar that I produced in 2009. This time Down East will be publishing it with recipes from their various cookbooks. It will be called Great Maine Food and will feature my photography. It’s for 2012 (yes, publishers work WAY in advance) so look for it in local bookstores mid next year! 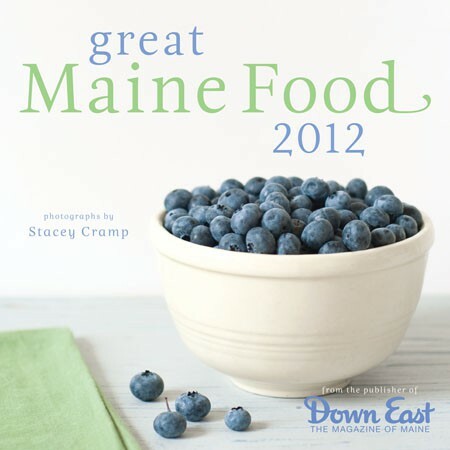 Candidates for the 2012 Great Maine Food calendar being published by Down East. For someone who is busy, that was one lengthy blog post! But, I owed you. I’ll aim for shorter, more frequent updates in the future. Now I must go get ready for tomorrow’s shoot, a fun assignment for the cheese magazine, Culture. This entry was posted in food, The New York Times and tagged Down East, farmers' market photography, foraging, gluten-free cookies, maine food, MECA, Sellers Publishing, The New York Times, Yankee magazine on October 6, 2010 by Stacey Cramp.